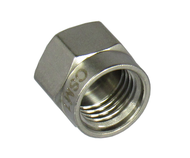 These coaxial dust caps are used for protective purposes, both from the environment & contaminants. 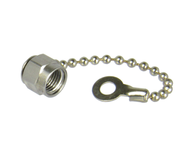 Note: SMA, 2.92, 3.5mm dust caps are the same, as the threads are the same. Likewise, 2.4mm & 1.85mm dust caps are the same, the threads being the same. Some people use opens for calibration purposes at low frequencies, but these opens are not VNA rated, we don't measure fringing capacitance etc. 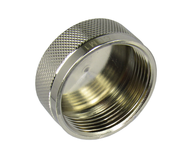 Please click on a subcategory from the drop down menu above to see our exact offerings of coaxial dust caps.